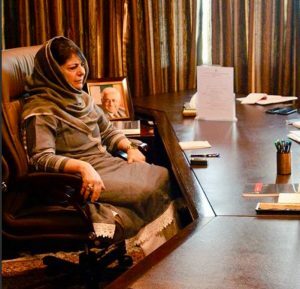 Mehbooba Mufti, former chief minister of Jammu & Kashmir on July 28, urged Prime Minister Narendra Modi to seize the opportunity by extending a hand of friendship with Pakistan’s Prime Minister-designate Imran Khan so that issues between India and Pakistan could be resolved. 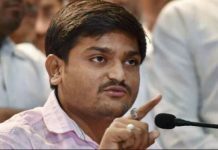 “I want to make an appeal to the Prime Minister. Pakistan will soon have a new Prime Minister and in his victory speech, he (Imran Khan) extended a hand of friendship. The Prime Minister should also reciprocate in the same manner. The elections come and go”, she said while addressing the 19th foundation day of the Peoples Democratic Party (PDP). “We should sit across and resolve the issues instead of we blaming India for problems in Balochistan and they blaming us for problems in Kashmir,” Imran Khan said during his victory speech after general elections. While urging the Centre to hold dialogue with Hurriyat leaders, she said Centre should have a positive mindset in resolving the existing problems in the Kashmir Valley. 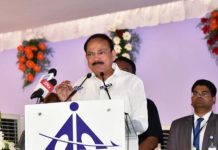 “The state of Jammu and Kashmir has always been a challenge for all the Prime Ministers in India. 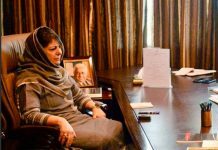 The leader who will find a peaceful solution for the Kashmir problem, who will improve the Indo-Pak relationship, his name will be immortalized in gold, “Mufti added.